On past occassion, I have been critical of ‘The Nation‘ for not making greater use of facts and data when confronting National ministers. Without cold, hard facts and stats, slippery Ministers like Steven Joyce can find wiggle-room to avoid straight answers and indulge in wild flights of fantasy-spin. But when the team at ‘The Nation‘ get it right, they do it well, and Ministers are laid bare for the public to see, hear, and assess for themselves. Both interviews showed Ministers out of their depths, and grappling with critical problems that apparently have “snuck up” on them – though the rest of the country had long been aware that not all was well in the Land of the Long White Cloud (and possible Red Peak). 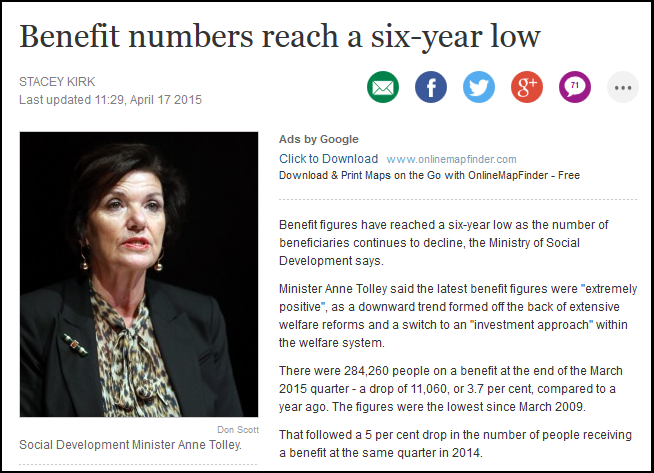 Almost 90 per cent were on a benefit. Over 25 per cent were on a benefit with a child. Almost 80 per cent did not have NCEA Level 2. More than 30 per cent had a youth justice referral by the age of 18. Almost 20 per cent had had a custodial sentence. Almost 40 per cent had a community sentence. Overall, six out of every ten children in care are Māori children. 64 per cent of the 61,000 children notified to CYF in 2014 had a previous notification. In 2013, children who had been removed from home were on average 8 years old and many of these children had been involved with the system since 2 or 3 years of age. Seven year-old children should not have eight different home placements. A study of those in care in 2010 showed that 23 per cent of children who exited care and returned to their biological parents were subject to neglect or physical, emotional or sexual re-abuse within 18 months. Ten per cent of those who returned to kin or whānau were re-abused, while re-abuse rates for those who exited into non-kin and non-whānau placements was one per cent. It has taken seven years for a National minister to come to understand this? Where have they been all this time – playing golf on Planet Key? 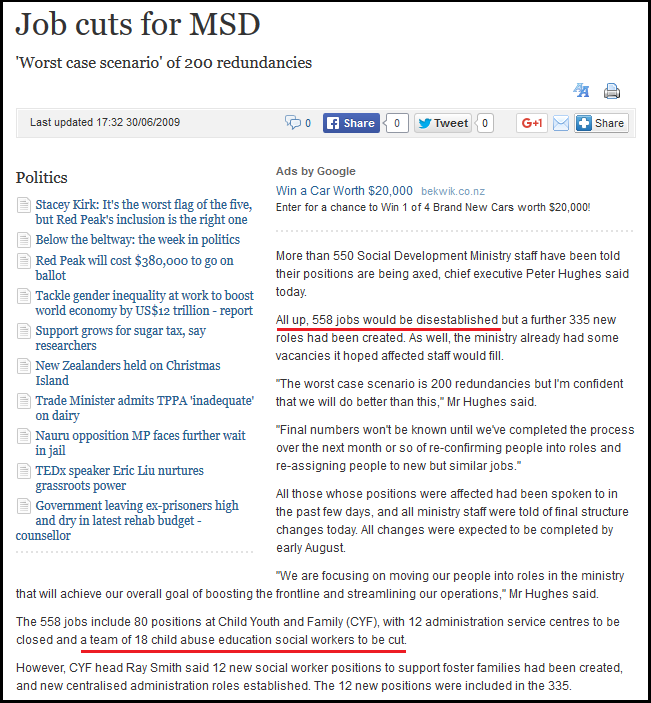 Take note that in the “re-structuring” in 2009, the job cuts included “a team of 18 child abuse education social workers“. In effect, skilled professionals working on behalf of children suffering abuse were sacked. Only the Minister of Finance trying to balance his books, and those who perpetrate child abuse on small bodies, could possibly have been delighted at that announcement. No measurement; no way of telling how bad it is. Very clever, Ms Bennett. 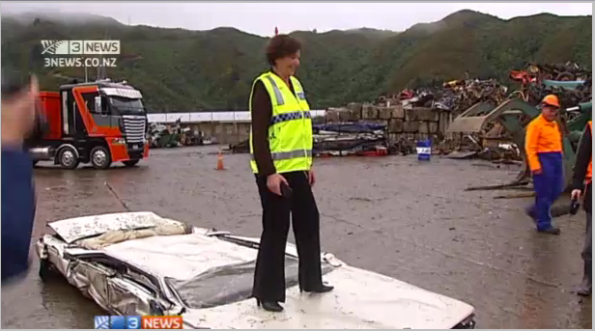 This time, the person over-seeing on-going job-losses and re-structuring was the current Social Development Minister, Anne Tolley. 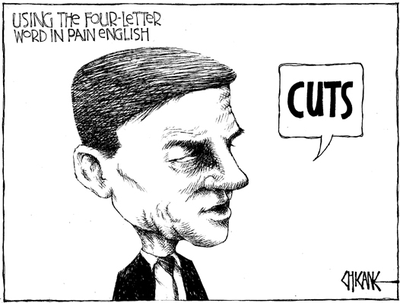 This time, the cuts were given a new euphemism; “re-alignment”. 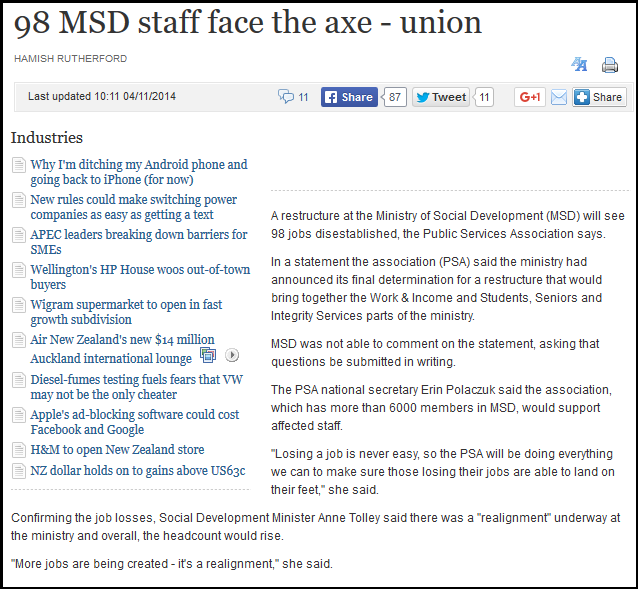 The reason it is risable gobbledegook is that after hundreds of job losses – of mostly so-called “back room staff” one assumes – and restructurings, there cannot be too many “layers and layers of risk management and bureaucracy and administration” left in MSD. Listening to the Minister was not only far from reassuring, but left a sense of unease. “Child Youth and Family does outsource to the private sector already some contracts, and I think last year $81 million of business went to private sector contractors, so I can’t get up and say there is no involvement with the private sector, because there already is that. What is Key referring to – delivery of afternoon tea and biscuits to CYF staff? Or, as more likely, would “some small function” involve Serco – already in deep trouble over it’s incompetence over running of Mt Eden prison? 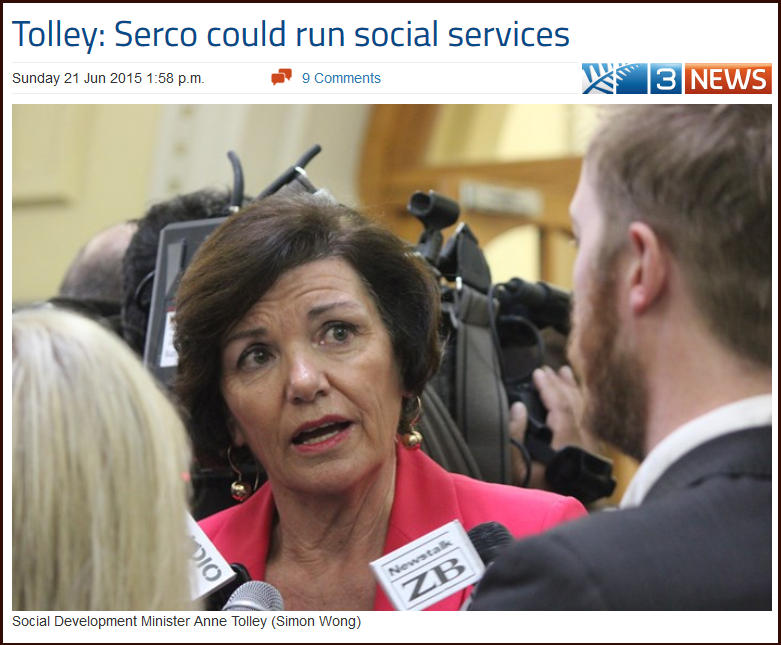 Thursday 24 Sep 2015 4:30 p.m.
Serco case managers have visited several Child, Youth and Family facilities in Auckland, Social Development Minister Anne Tolley has confirmed. She’s previously denied knowledge of such visits, and told Parliament today she had been given incorrect advice by her ministry. “I apologise for giving an incorrect answer (to previous questions)… I’m disappointed that I got incorrect information,” she said. Opposition MPs suspect the visits were connected with the possibility of some CYF services being contracted out to Serco. Usually, this is a government whose ministers are desperate only to present “good news” stories. They are quick to dismiss, minimise, or deride any criticism that does not fit with their “good management” narrative. Blaming the previous Labour government has become the #1 Default position of National ministers. The only possible rationale why Tolley has commissioned a report into MSD/CYF – where no public or media pressure had demanded one – is that Paula Rebstock’s highly critical findings of MSD/CYF were pre-determined. “The Rebstocks of this world are spared the close-up consequences of their recommendations. They are experts at reading between the lines of their terms of reference to discover exactly what it is that their commissioning ministers are expecting from them – and delivering it. 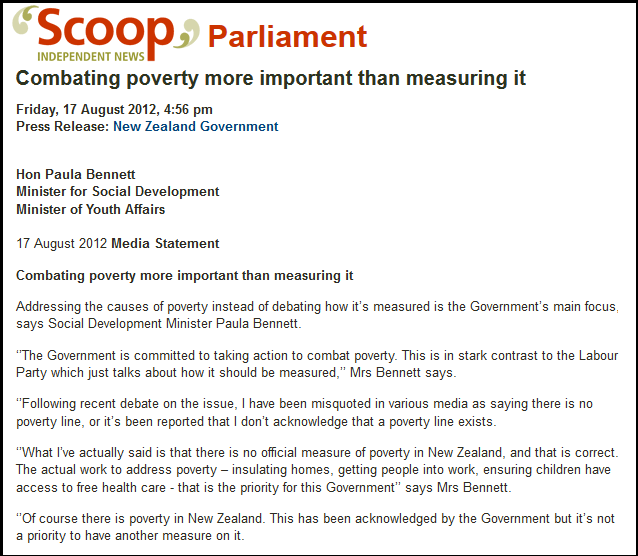 So it was with Paula Bennett’s welfare review, and so it will be with Anne Tolley’s review of Child Youth and Family (CYF). Without doubt, Rebstock’s eventual (and predictable?) report into MSD/CYF was highly critical of that organisation. 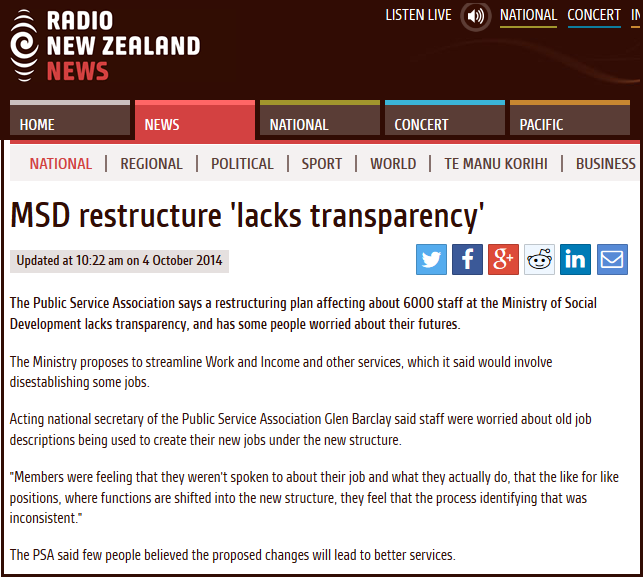 Key has publicly disclosed that he is not averse to privatisation (aka, “outsourcing”) aspects of MSD/CYF’s services. Despite Tolley’s denials, Serco has shown interest in CYF facilities. Which leads to the inescapable conclusion that the Rebstock report; the willingness of Ministers to front up to the media to candidly admit to MSD/CYF’s shortcomings; is setting up a Problem demanding a Solution. That “Solution” is privatisation of services. Indeed, “people who are fostering, most of them don’t do it for the money” – but it sure helps pay the bills, especially for professional services for some very damaged children. No wonder Tolley was vague on whether more money or social workers would be provided to MSD/CYF, in her replies to Lisa Owen. This was never about increasing resources to the Ministry or caregivers. This is about a private enterprise “solution” to a National government “problem”. The Rebstock Report is simply the means to sell that “solution” to the public and media. Machiavellian does not begin to cover this mad agenda. This blogpost was first published on The Daily Blog on 27 September 2015. The changes sparked protests in front of three Auckland Work and Income offices by Auckland Action Against Poverty protesters yesterday who said the moves were about “cutting costs by pushing vulnerable people off the books” rather than getting them into decent jobs. So how bad is the problem with WINZ forms? The cost of this must be horrendous, and it is ironic that at a time when National is cutting “back room” support staff to save money, that they are permitting taxpayer funding for this ‘Monty Pythonesque ‘ exercise in out-of-control form-filling. 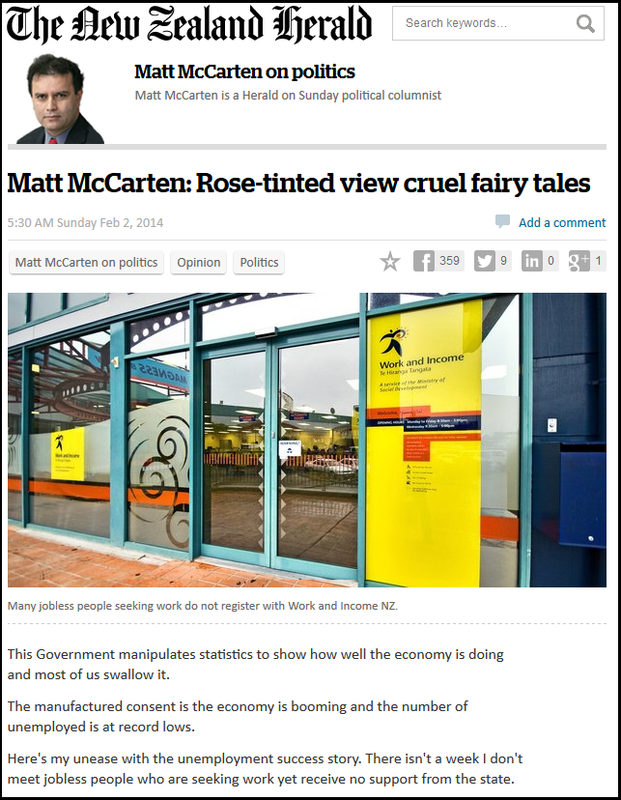 National has a peculiar – but effective – way of dealing with unpleasant statistics. It either does not engage in collecting data (eg; foreign house buyers, poverty levels, etc), or, it implements policies that will artificially impact on statistics without actually resolving under-lying problems. Whichever is the cheapest, easiest option. And whichever draws the least worst headlines. 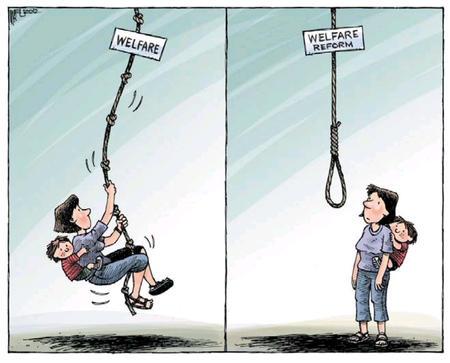 If pushing New Zealanders off welfare – by making the system unnecessarily complex and frustrating – has the end result of an apparent drop in welfare numbers, then that is ‘Mission Accomplished’ for this government. 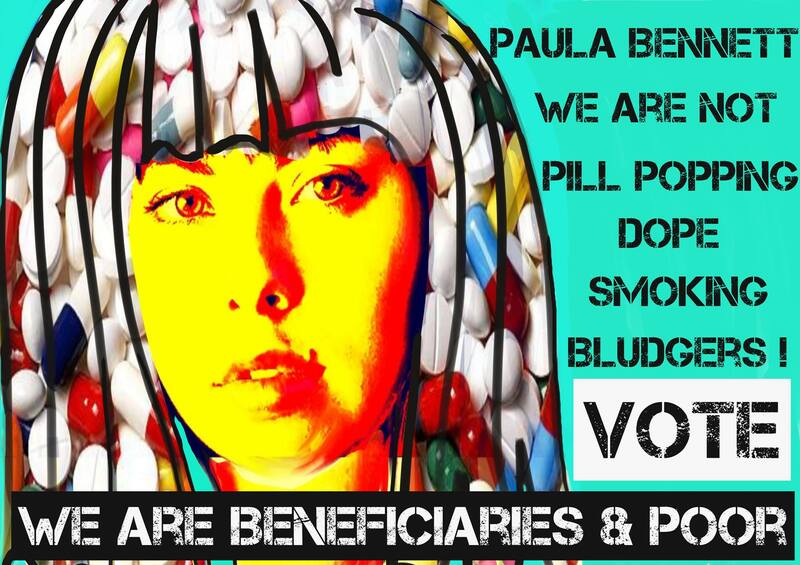 “There is no reason for Work and Income to continue monitoring people who have chosen not to re-apply for a benefit. Tolley admitted not knowing the details of the family whose child died of cold/damp related illness. Make no mistake, the end purpose of seventythree forms, and having to re-apply every twelve months, is to cause frustration and dissuade people from re-applying for welfare benefits. 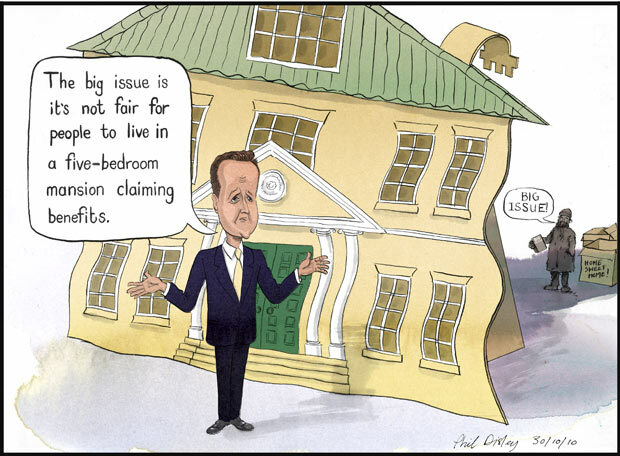 Ministers then trumpet “success” at a drop in welfare numbers. The next time you see beggars on the streets with signs saying “no money, please give what you can” – they are most likely telling the truth. They are this government’s dirty little secret. 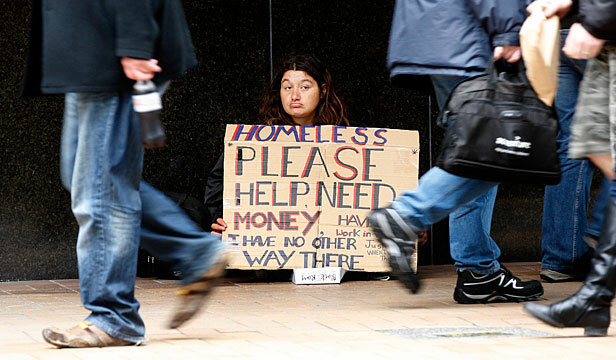 “There is no official measure of poverty in New Zealand. The actual work to address poverty is perhaps what is most important. One of the more bizarre and ridiculous policies by the Ministry of Social Development is annual re-application forms sent to beneficiaries with permanent disabilities such as spina bifida. For those who are not aware, spina bifida is a permanent, life-long condition. There is no cure. 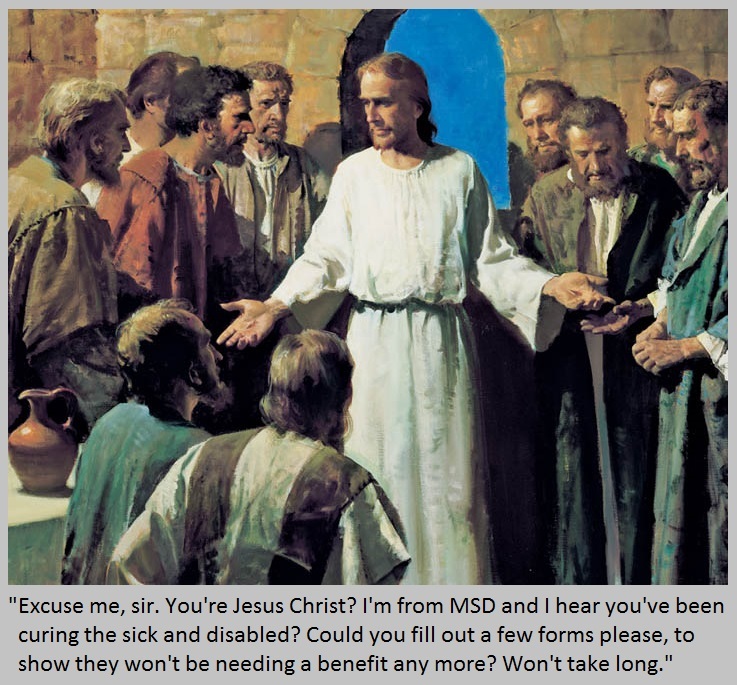 MSD seems to believe that a miraculous recovery is possible, judging by the forms it sends every twelve months to people with spina bifida. This blogpost was first published on The Daily Blog on 12 July 2015. Additional to my original blogpost on The Daily Blog on 6 February. In up-coming unemployment stats, I’ll be focusing on the Jobless and under-employed numbers, as well as the narrower “unemployed” stats from the Household Labour Force Survey (HLFS). It is evident from the numbers of under-employed and the extremely narrow defining on what constitutes an unemployed person, that we are not getting the full picture from the HLFS. Coupled to that, the Census last year revealed unemployment to be at an astonishing 7.1% whilst Roy Morgan poll (5 December 2013) had the figure at 8.5%. By comparison, the HLFS (at roughly the same time) had unemployment at 6.2%. So unemployment stats ranged from 6.2% (HLFS) to 8.5% (Roy Morgan). Coupled to that is the narrow definition of the HLFS used by Statistics NZ (see below), and we begin to see why the “official unemployment rate” appears more ‘benign’. These broader labour market indicators include external ones such as business and consumer surveys and job advertisements. These are in addition to those derived from official statistics such as changes in the employment and labour force participation rates, full- and part-time work, and hours worked, together with fine-grained analysis of changes by region, industry and age. The unemployment rate decreased over the quarter, down 0.2 percentage points to 6.0 percent. This decrease reflected 2,000 fewer people being unemployed [147,000]. The fall in unemployment was from fewer men unemployed. Over the year, the total number of under-employed people increased by 27,200 to 122,600. As a result, the under-employment rate increased 1.0 percentage points to 5.3 percent. In the year to December 2013, the number of people in the jobless category fell 27,400 to 257,100. Alongside the 15,000 fall in the number of people unemployed, there was also a 10,200 fall in the number of people without a job who were available for work but not actively seeking. Observation #1: Under-employment is increasing, which brings into question how effective the “drop” in unemployment and Jobless actually is. 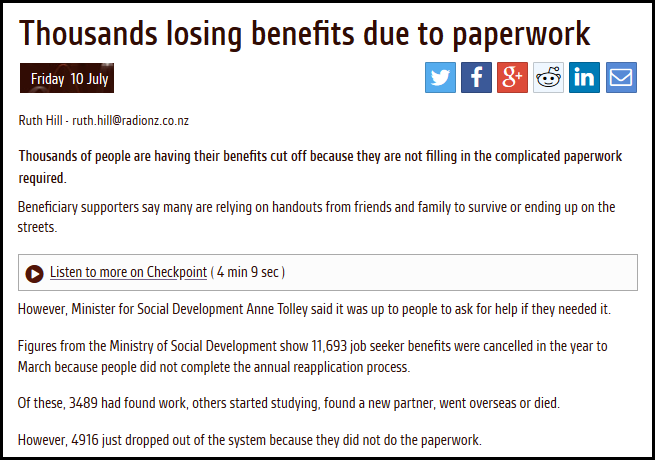 As being “employed” is defined as working for one hour (or more) per week; with or without pay: the whole statistical reporting of true unemployment in New Zealand is now called into question. Especially with regards to the next point. Observation #2: “A 10,200 fall in the number of people without a job who were available for work but not actively seeking” signifies that the drop in Unemployment/Jobless can also be attributed to people giving up, as this Radio NZ report stated in February last year (2013). Observation #3: As stated in the “Definitions” below, a person who is job seeking only through newspapers is not considered in the “Unemployed” category, but under the wider “Jobless” definition. Considering that a number of households cannot afford the internet, and do not qualify for WINZ registration, this makes a sizeable “chunk” of unemployed effectively invisible. Observation #4: The above Observation suits successive governments, which are desperate to report lower unemployed so as to gain support from voters. Up-coming unemployment stats will focus on Jobless and under-employed numbers, as well as the more restrictive “unemployed” stats from the HLFS. Hopefully this will create a more comprehensive ‘snapshot’ of what is happening in the jobs ‘market’. The corollary to that is that one in five households – a staggering 20%! – do not have internet access. Which means that job seekers on little or no income (especially if they do not qualify for WINZ support) may rely solely on newspapers to look for jobs. But as I’ve reported above, using a newspaper to be job-seeking does not quality you as “unemployed”. No wonder of official unemployment stats are dodgy as hell. This blogpost was first published on The Daily Blog on 9 February 2014. 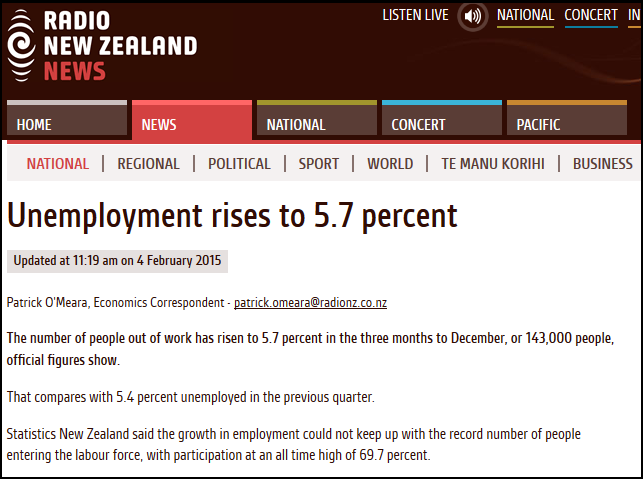 Continued from: Roy Morgan Poll: Unemployment and Under-employment up in New Zealand! This is the plain, unvarnished truth that most New Zealanders don’t know; don’t understand, and quite frankly, many do not want to know or understand. For many – especially National/Act supporters living in their own fantasyland – this is the reality that would shatter their comfortable upper-middle-class world-view. The Household Labour Force Survey (HLFS) provides a regular, timely, and comprehensive portrayal of New Zealand’s labour force. Each quarter, Statistics NZ produces a range of statistics relating to employment, unemployment, and people not in the labour force. The survey started in October 1985 and the first results published were for the March 1986 quarter. The labour force category to which a person is assigned depends on their actual activity during a survey reference week. This section includes definitions used in the HLFS release. These conform closely to the international standard definitions specified by the International Labour Organization. So, if you “worked for one hour” – even without pay! ” – you are automatically classed as employed by this country’s statisticians. No wonder that the Roy Morgan poll consistently reports that New Zealand has a higher unemployment rate than is generally reported by Statistic NZ’s HLFS or Census. New Zealand as a whole suffers through loss of productivity; increasing costs due to poverty; and other socio-economic problems. When a government agency purports to measure employment and unemployment, and defines being employed as “working for one hour or more”, either paid or unpaid, those are not statistics – they are a sick joke. In effect, we are fooling ourselves as a nation that we have “low unemployment”. These are not facts – they are propaganda; half-truths; mis-information; lies-dressed-up-as-comforting-facts. The reality – unpalatable as it may be for many – is that our unemployment is much, much worse than we have been led to believe. 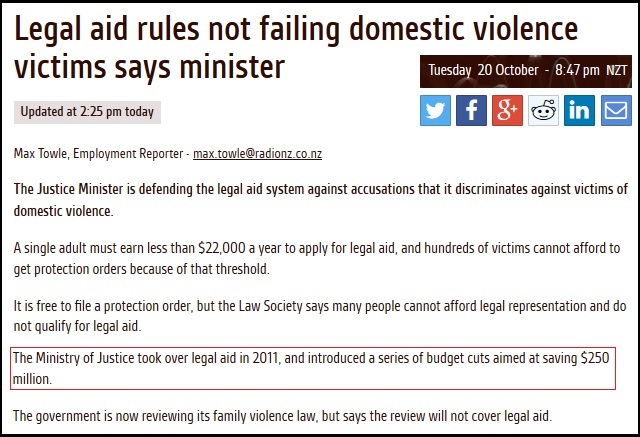 If New Zealanders want to keep up this pretense, they will eventually have to “pay the Piper”, as societal problems worsen. And then, the rioting begins. 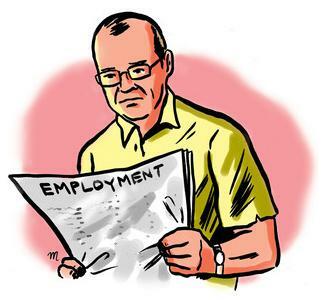 The HLFS results for the December 2013 Quarter reported a “drop” in unemployment from 6.2% to 6.0%. Interestingly, as Radio NZ reported, “the fall in unemployment did not match the pick up in jobs, due to more people searching for work“. This ties in with the fact that “employment” is defined as anyone working for one hour (or more). 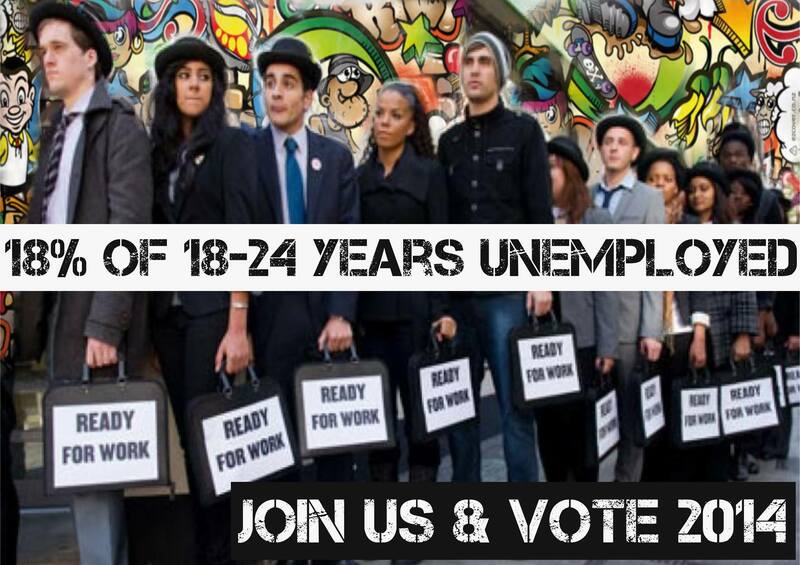 The number of under-employed is (as Roy Morgan reveals) so high as to mask real unemployment. Also interesting to note that the drop in the HLFS survey results mirror the fall in Roy Morgans polling, further lending credibility to the latter. 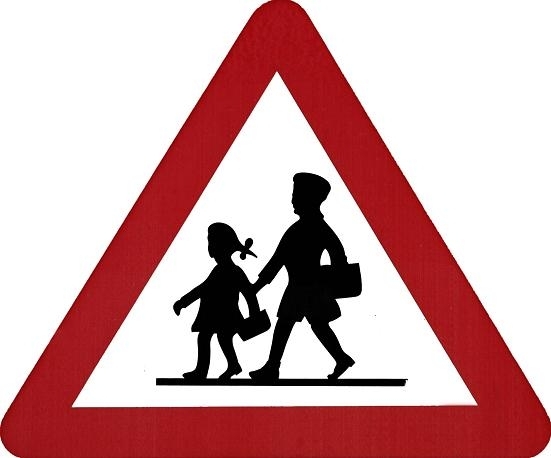 This blogpost was first published on The Daily Blog on 6 February 2014.